"We didn’t know what kind of a wedding ceremony we wanted, but Raul made it absolutely perfect. The ceremony was personal, touching and funny, he said all the right things and we couldn’t be any happier. 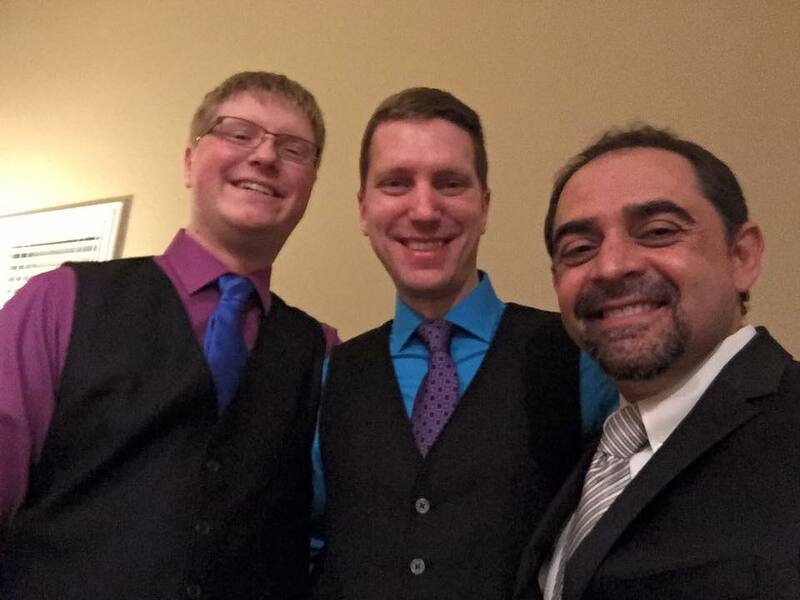 As atheists ourselves, we are beyond thrilled that Raul made it possible for us to have a secular wedding without any mentioning of religion, and we are really proud to have been married by a humanist celebrity! The photos and videos he took of us are amazing and we are so happy to have found such a great celebrant and photographer in one person. Raul gave us a little booklet with a print version of the ceremony which is a nice keepsake. We are not from Vegas and Raul helped us find a quiet, beautiful location and a restaurant, and explained all the formalities around getting married to us. Thank you for this wonderful wedding, Raul!" 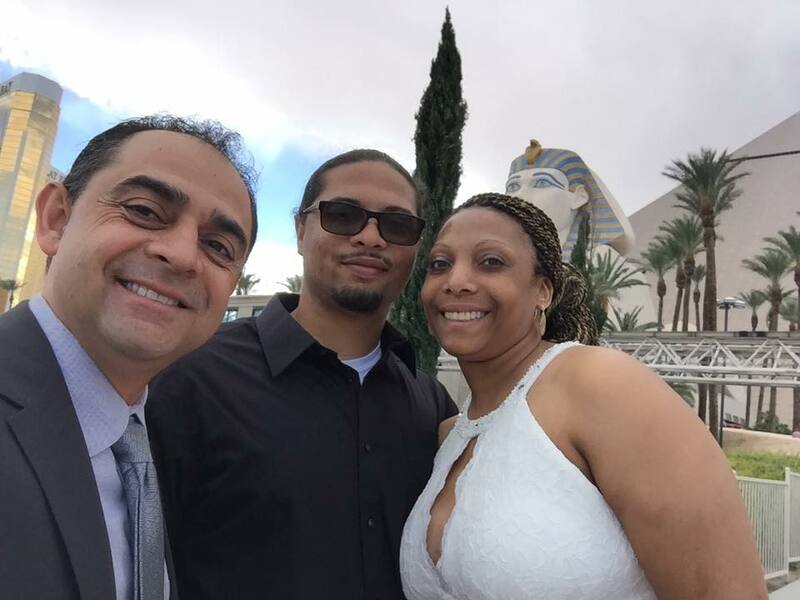 "Raúl from Vegas Modern Weddings was amazing and delivered above and beyond what we expected from our ceremony. From our first email contact to our phone conversations he was professional and took the time to get to know both of us. We were not sure what we wanted location wise and he was able to give us options and make suggestions based upon the information we provided. We ended up going with Red Rock Canyon, and he picked out the perfect spot with the mountains in the background. The ceremony was perfect and drew from the geological history of the area and tied in how our relationship paralleled the precise formation of the canyon. It was refreshing to not have any typical/traditional wedding ceremony jargon present. There was no mention of any religious deity, outdated gender roles, or ownership of one another. Just our commitment to each other and the promise to nurture our relationship and help it grow and flourish. This was exactly what we wanted, and the kicker to it all was it took place on Darwin Day! We could have not asked for more and Raúl helped make it all happen.​"
​"Raul made our experience more special than we imagined. We are deeply in love and didn't really care for anything extravagant and most of all wanted this to be about us and our love for one another, not a religious ceremony. The words that Raul had for us were so special and turned our short and sweet wedding into something that will last for a lifetime. I wouldn't have done anything different, it was simply perfect and exactly what we hoped for and then some. Thank you so much Raul." ​"Vegas Modern Weddings was a pleasure to work with. We were very happy with how quickly everything was set up and how accommodating they were to our needs for our wedding. The wedding itself was wonderful. Raul, our celebrant, had a well-prepared ceremony that celebrated the human spirit. He was warm and engaged the whole audience. 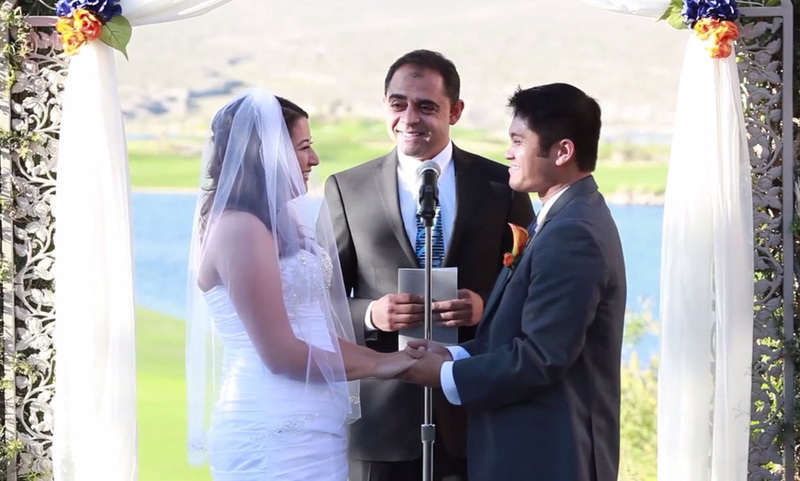 He and Vegas Modern Weddings truly made our wedding special." ​Not enough could be said about how well Raul performed our wedding ceremony. As two scientific-minded college professors, both of whom are atheists, we knew we wanted a secular wedding. However, we also thought it would be funny to include some type of theme. The bride was from Mexico and the groom was from Texas; we were getting married shortly before the 2016 presidential election; and Danny (the groom) studies and teaches political science. Therefore, we thought it would be funny to be married by a Donald Trump parody. Raul was perfect. He dressed like Trump (complete with wig) and delivered the perfect ceremony that celebrated our love, which no wall – no matter how big – can contain. He threw in Trump’s catch phrases and had his mannerisms down cold. By the end, everyone was laughing and crying tears of joy. Raul was everything we wanted. 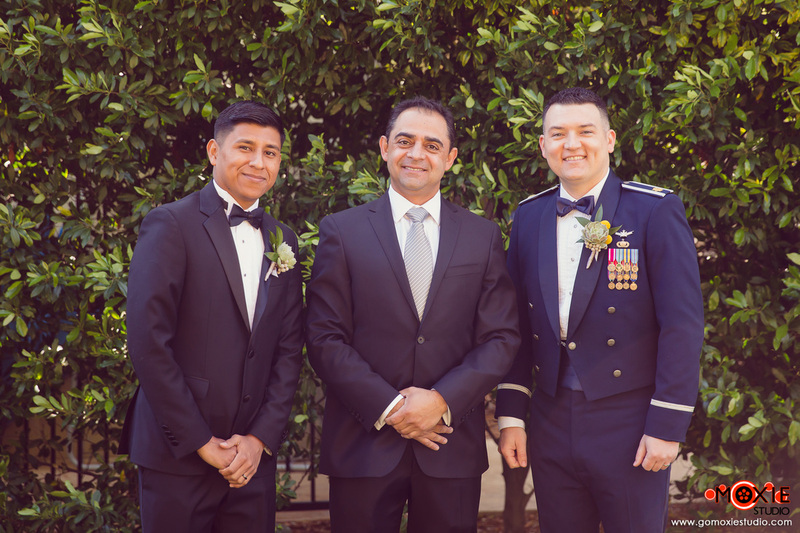 "Raul Martinez did a phenomenal job of officiating our wedding. As passionate atheists with very religious family, the "stealth atheist" wedding was the perfect choice. Raul wove in our enthusiasm for science as a gentle way of acknowledging our standpoint, and he added a nice touch in wearing a DNA double helix tie for the occasion! Non-religious aspect aside, Raul really helped make our special day truly memorable and enjoyable for everyone in tailoring the ceremony around our personal story with just the right mix of humor and sentiment. We were extremely pleased with his services and it was wonderful to receive so much praise from our guests for our choice in officiant. Thank you Raul!" 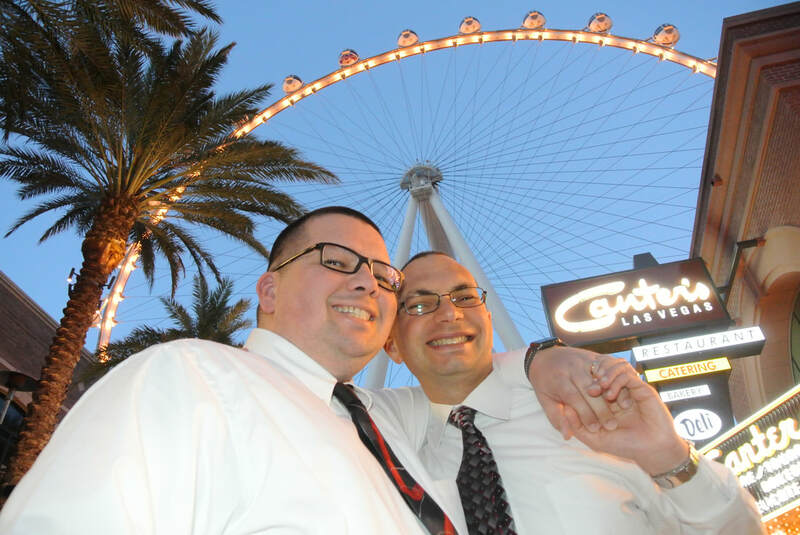 ​"We couldn't have asked for a better way to get married in Vegas. Raul was prompt, attentive, and professional.....also fun and friendly! It was exactly what I wanted as an agnostic who wanted to celebrate the union, not religion." "Non-religious? Check. Bilingual? Check. Extremely reasonable prices? Check. 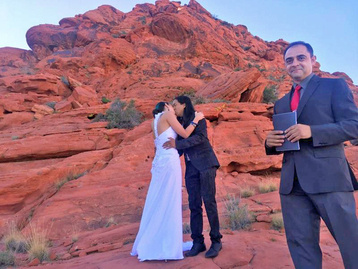 The most amazing officiant in Las Vegas? Check. We hit the lottery by finding Raúl! Hands down the best vendor we booked for our wedding. Raúl took the time to get to know us months before the ceremony and crafted a completely customized ceremony script as a result. He had the audience laughing, crying, and there wasn’t a guest at our wedding that didn’t compliment us on Raúl’s delivery. We can’t say enough about Raúl, and it was just such a joy to work with someone so passionate and professional. 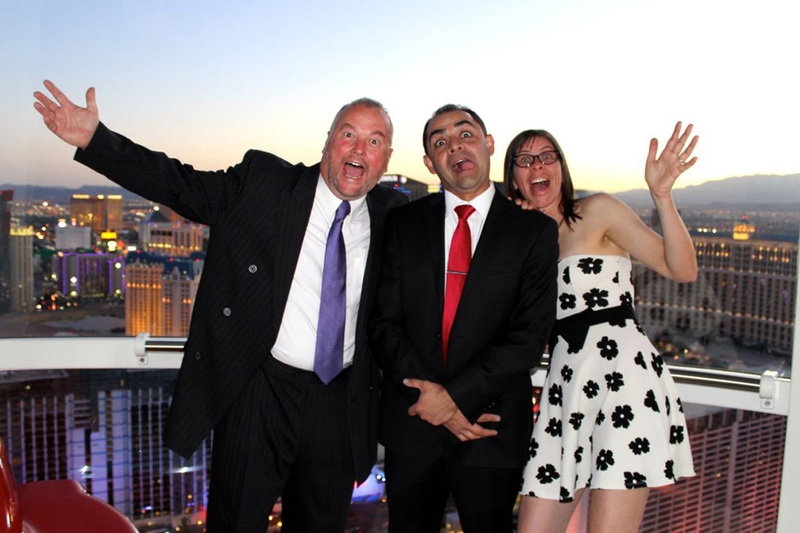 Do yourself a favor and book Vegas Modern Weddings now - you won’t regret it!" "We cannot thank you enough for being such an integral part of this amazing wedding date and experience. As you know, this a first-of-its-kind event at the High Roller and we are so appreciative of your participation. Thanks so much for your time and your generosity of heart." "When we asked Raul to officiate at our wedding, we did not give him much direction; all we told him was that the theme would be "Día de Muertos" and we asked him to throw in some Spanish for Cesar's family. We also asked him if he wouldn't mind wearing makeup to match the wedding party. Not only did he meet us in the morning to get his makeup done but he also wrote and performed a ceremony that perfectly captured our vision of the event. Many of our guests commented on how much they enjoyed the service. It was funny and poignant and 100% non-religious. We think Raul did a great job." "From the get-go, Raul was professional and thorough, asking all kinds of things we hadn't considered, and suggesting ways we may want to improve and personalise the service. He wove our story beautifully into the ceremony, including focussing on the significance of the stunning venue. The result was polished, and Raul had virtually memorised the whole service, which made the whole thing feel more informal. Raul's excellent organisation and foresight made the day stress-free and fun." "Raul really made our day extra special. He had suggested a High Roller ceremony, which turned out awesome – we were in our own private pod and had the ceremony while the sun set, then enjoyed views of the city lights. 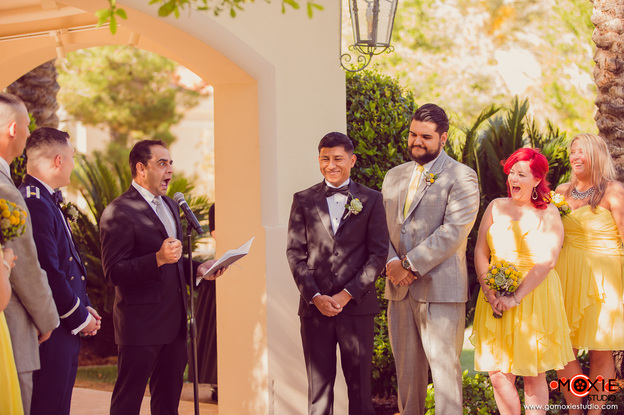 We wanted our ceremony to be a fun, happy, upbeat celebration and that is exactly what Raul gave us. The vows he wrote for us based on his questionnaire were wonderfully witty, meaningful, and hilarious. 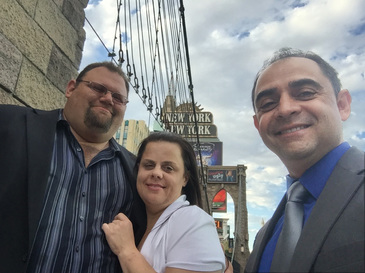 We cannot give Raul enough praise for making our special day so memorable." 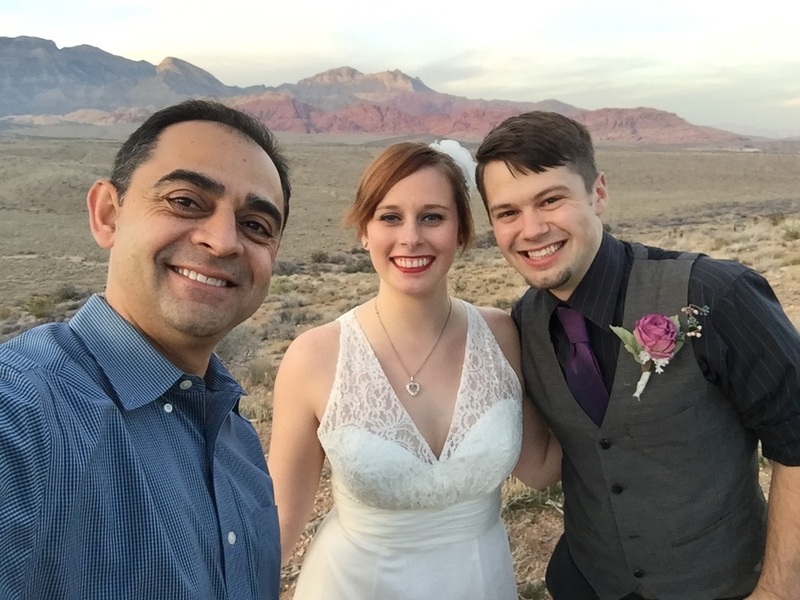 "We are very happy that we invited Raul to marry us in the beautiful Red Rock Canyon national park. He is more than qualified to marry someone and he really integrated the information we offered to him about our relationship into a customized theme. Our ceremony was meaningful both in sentimental ways and in scientific ways. The ceremony celebrated the love and hard work shared between my husband and I, it also included many metaphors and scientific facts that relate to our marriage, history and the site. We could not be happier with how flexible and responsive Raul was with emails, text messages, phone calls, the place to meet. He took us on a journey with his words in the Red Rock Canyon and left the perfect space to give us some private moments during the ceremony. ​Thank you again Raul. Cheers." "If you are looking for a humanist celebrant to officiate your wedding in Vegas, stop looking now, Raul Martinez IS the man for the job. Raul did such an amazing job for our wedding. How do you bring together in 15 minutes, the tale of love and friendship that has spanned over six years in a way most meaningful to the couple and most understandable and relatable to the guests. We didn't think it was possible, but Raul did it. The whole ceremony was customized to our individual personalities and our relationship together with panache. References to our little quirks and mutual interests and differences were added as subtle interjections laced with humor, through all the laughs, Raul could emphasize the solemness of the event without getting serious, making us glad about how far we have come and aware how far we have to go. With no gods, myths or monsters and absolutely no sexism that sadly traditional wedding ceremonies are associated with, Raul made the natural, human element of love and commitment stand out. Raul is also extremely professional, very approachable and it shows that he deeply cares and believes in what he does. Go for Raul, the celebration of your dedication to one another, deserves nothing less." ﻿"We really appreciated the way Raul performed and organized our wedding ceremony. He put a very special personal note on the basis of the information we provided him and performed the ceremony with great spirit and sensibility. Also the scenery he chose was amazing and he put it with wit into his ceremony. A real celebration of love! We cannot thank Raul enough for the great way in which he married us!" "We were absolutely blown away by Raul in our ceremony. The history, humor, and the tale of how we came to be were so much more than we ever expected. It is not possible for our ceremony to have been any better! My very religious family didn't even notice there was no religion in the ceremony. Everyone who attended and watched the video later thought it was perfect! Thank you for making our day so special!" "Raul was a perfect fit for us. 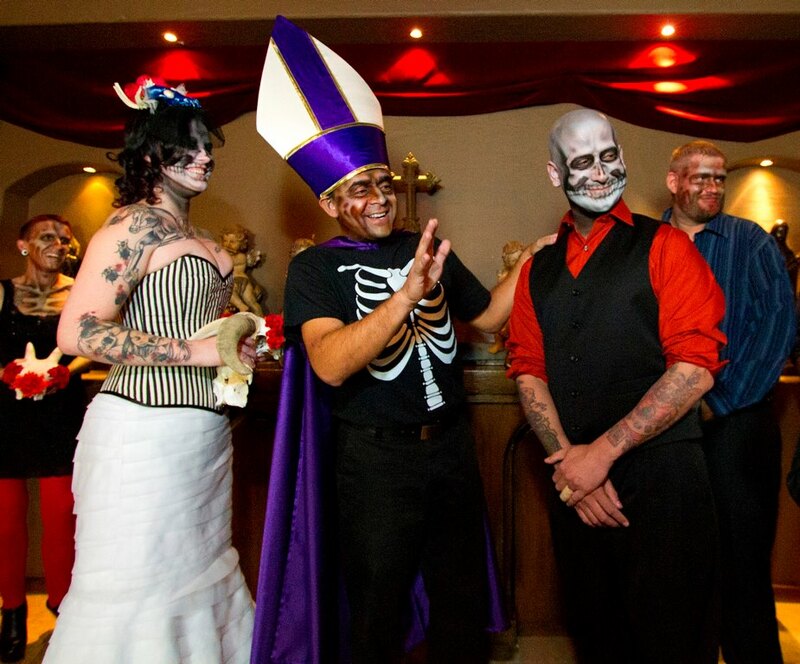 We needed someone who was going to do a non-religious ceremony, on Halloween. 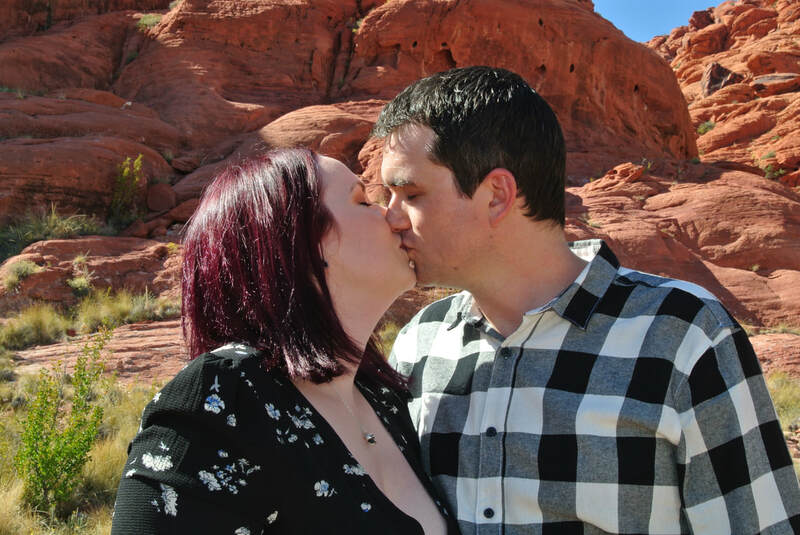 Amazingly he was able to do it, and we hiked up into Calico Basin to do a very small ceremony with only our photographer and a witness. His energy and charisma made our heart fill with joy. Since it was such a spontaneous event I we did not have our vows written but we did not need any since his words were so powerful. They were witty and deep and they also, I liked how they spoke of the earth and time and love in a way that did not inflict religion upon us. In the natural environment it was such a blessing and I thought with the amount of hiking he did he should have charged us extra! I would highly recommend him to anyone I know for a service." "Raul was everything we could ask for in an officiant. He conducted our ceremony with grace and a great sense of humor. The vows he wrote for us were so meaningful and perfect we didn't have to change one word. Would highly recommend as an officiant, he's the best!" "We were delighted with everything Raúl did to make our special day truly memorable. 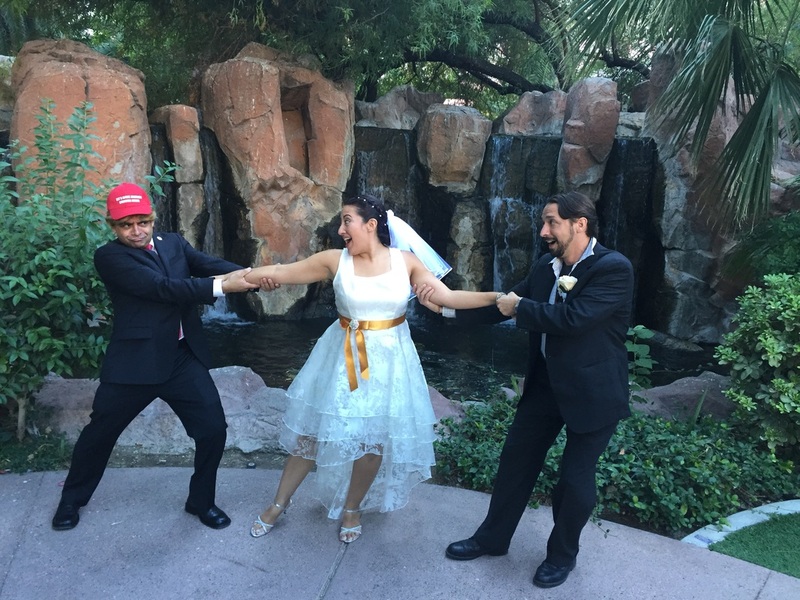 Being non-religious, and coming from across the Atlantic Ocean to elope in Las Vegas, Raúl was the perfect choice to officiate our wedding and has given us memories to last a lifetime. The ceremony was wonderful, as Raúl had taken the time to get to know more about us, weaving a nice mixture of our personal story, sentiment and humour into the service. We’re so grateful for everything Raúl did for us and will never forget those couple of hours we spent in his company on our wedding day. If you are a couple reading this, you could not ask for a more professional, friendly and very interesting person to officiate at your wedding. Thank you Raúl." Big part of this "miracle" is that we live in XXI century (and have access to google search) not in middle ages and we wanted our ceremony to be modern (read: without mixing "God" into it). It was clear for us that if Raul was "Secular VIP of the Week" on Richard Dawkins Foundation blog, he is the right choice! We chose Plain Vanilla package but Raul made it a bit more personal anyway. He was reading our emails very carefully and incorporated some of the things we like and are passionate about into the ceremony. Victor's brother told us: "I am not into marriage ceremonies, but from all possible ways, you guys did it the most cool way" :) Thank you Raul! it was very cool indeed! " "My beloved would have been perfectly fine with a quick courthouse ceremony, but I insisted on doing something fun and memorable, so we eventually zeroed in on getting hitched on the High Roller observation wheel during our annual voyage to Vegas. Neither one of us are what you may call 'devout' so we were pretty clear from the outset that, whatever shape our ceremony might take, we wanted it to be entirely free of religious references and overtones. A quick Google search of something like 'Vegas non-religious wedding officiants' brought us to Raul's website, and it was clear from our very first communication that we were in great hands with him. Raul promptly responded to our initial email and thoroughly answered our many questions. He was able to offer constructive feedback regarding all of our ceremony requests, freely giving us ideas to consider with regard to venue and ceremony time, while staying completely open in helping to accommodate each of our desires. The entire process was as painless as could be, and much of the credit for that fact goes to Raul and his generosity and kindness. He went above and beyond to help us have an extremely special night, and we will never forget his contribution to our wedding!" "It was very important to my fiancé and I that there was no religious dogma associated with our marriage. We were very excited to find a secular option in the town that we love so much. Raul was wonderful. He did a fantastic job and his wife even came to be a witness. 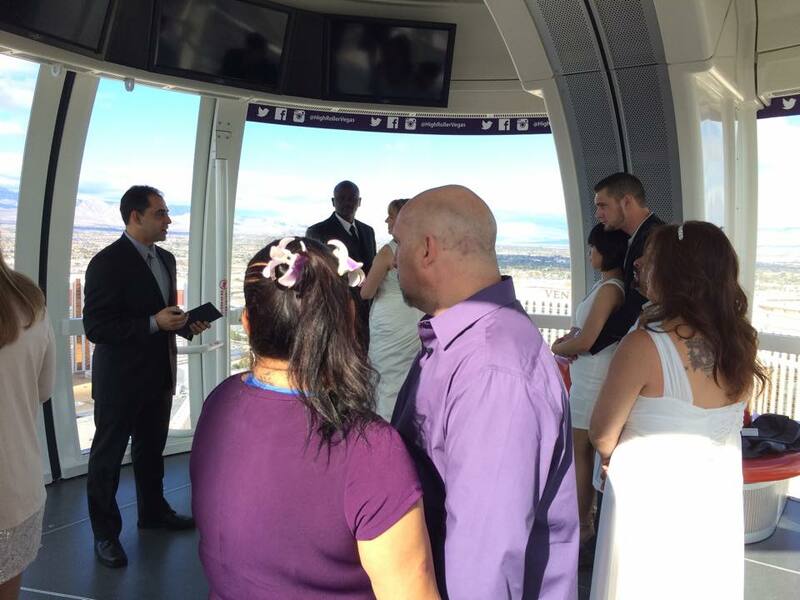 Having the ceremony in the observation wheel was an excellent touch and my new wife and I are very pleased with the memory we now have of our special day." 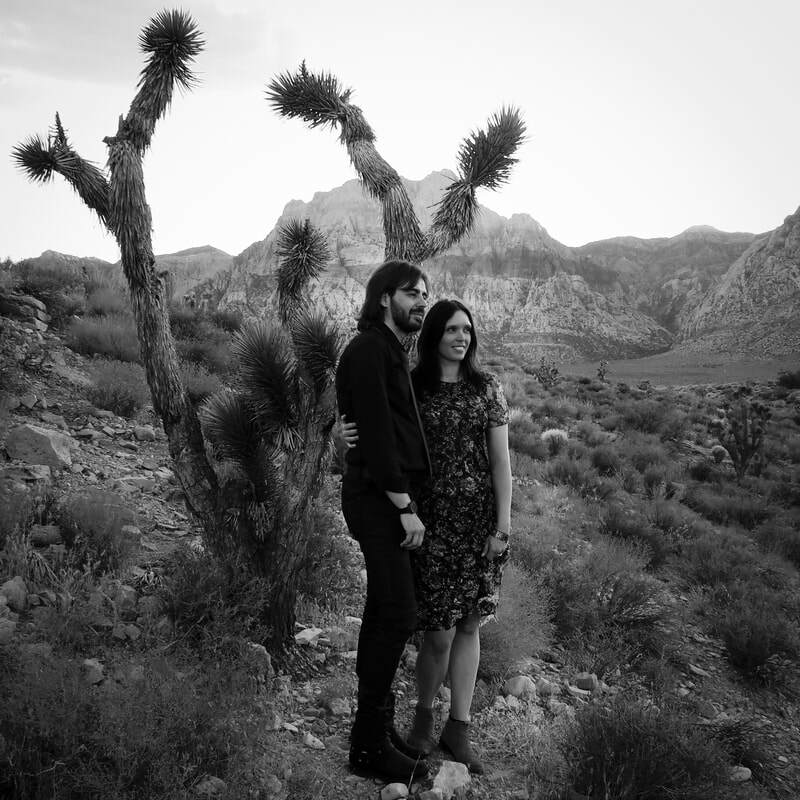 "We took a few days off to escape our busy lives and come down to Vegas to elope. With so many options I’m glad we found Raul!! Raul and his wife Leilani are two special people....so very kind and professional. They took all the stress out of our day. It was exactly what we wanted. Thank you soooo much!" "We were so fortunate to have found Raul. My husband had posted an article about his work a year ago not knowing then he would marry us one day. It was serendipity. As atheists it was extremely important to have a ceremony without religion. We had never been to Las Vegas before and Raul suggested the High Roller to do our nuptials. It was the perfect location and exceeded our expectations. Thank you Raul for making our wedding so memorable." "It was such a privilege having Raul perform our wedding ceremony. Our situation left us needing to plan something simple and stress-free between my university classes, so we decided it would be just the two of us with no guests. Raul accommodated our situation and made the planning process easy. He even brought his camera to take some photos for us and found someone to sign as our witness. Raul is passionate about the service he provides for couples. It was obvious that he went through a lot of effort to prepare a thoughtful ceremony, and it felt meaningful and specialized to us. Raul has done a wonderful job of composing a modern wedding ceremony that celebrates a commitment between two people without the detraction of religion. We are so glad we didn’t settle for a traditional ceremony in of the many chapels around Vegas. Thanks Raul!"